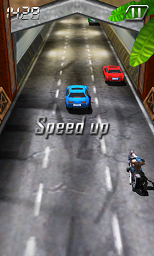 AE 3D Motor game is one of free Windows Phone 8 games especially for motorbike racing game lovers. 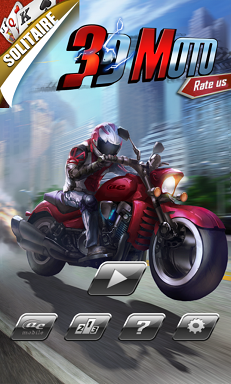 AE 3D Motor game will gain your love with realistic graphics and smooth control over your motor bike. I believe you will like the vehichles on the highway with their graphics, colors. The traffic and crazy drivers on the motor way will be a real challenge for you in this marvellous motor bike racing game. To play AE 3D Motor racing game is easy. There are two controls for controlling your bike on the highway. First keep going slow in traffic to get used to directing your bike using tilt control. So you can tilt your Windows 8 phone to control the direction of your motorcycle. Being a master in tilt control will save your life in heavy traffic and your motor bike in traffic. Second, you can tap on the screen to increase your speed. If you pass other vehicles on the highway more closely, you will get additional bonus points. So you need to control your bike better. 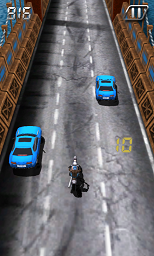 Here is a few 3D Motor game screenshots from Nokia Lumia 920 Windows Phone 8. You can find more information about AE 3D Motor motorbike racing game at Windows Store racing games section.